A year has passed since Beverly Hirtle was named director of research for the Federal Reserve Bank of New York. Before assuming that position, Bev played many roles at the Bank over the last thirty years, including serving as the deputy chair of the Federal Reserve Model Oversight Group responsible for designing and implementing the Comprehensive Capital Analysis and Review and Dodd-Frank Act stress tests. But what was it like to become the head of the Research and Statistics Group and director of research? Hirtle offers some insight into her latest role. Q: When you first became director, what did you see as the key challenge facing the department? What goals were at the top of your agenda? It is really important that New York Fed economists continue to do innovative research that advances the frontiers of what we know about households, businesses, financial markets, and institutions; and how all of these interact to form our economy and financial system. This research is what allows us to contribute to the key policy missions of the New York Fed, including monetary policy, financial stability, prudential supervision, and financial services. Another important, closely related goal is to advance diversity in the Research and Statistics Group. I want to have a group of economists and research analysts who bring a wide variety of perspectives to the issues we address. Having diversity in many forms—including diversity in gender, ethnicity and race, diversity in training, and diversity in economic specialization and approach (theorists and empiricists) is critical. Collaboration and diversity foster the kind of innovative thinking that leads to critical insights, new analytical techniques, and empirical and theoretical advances. We have numerous examples of this kind of collaborative innovation here—including the Center for Microeconomic Data, our Dynamic Stochastic General Equilibrium (DSGE) modeling efforts, work on market liquidity, analysis of the Fed’s balance sheet, and assessments of the impact of microprudential supervision. Finally, the Research and Statistics Group is not just economists. 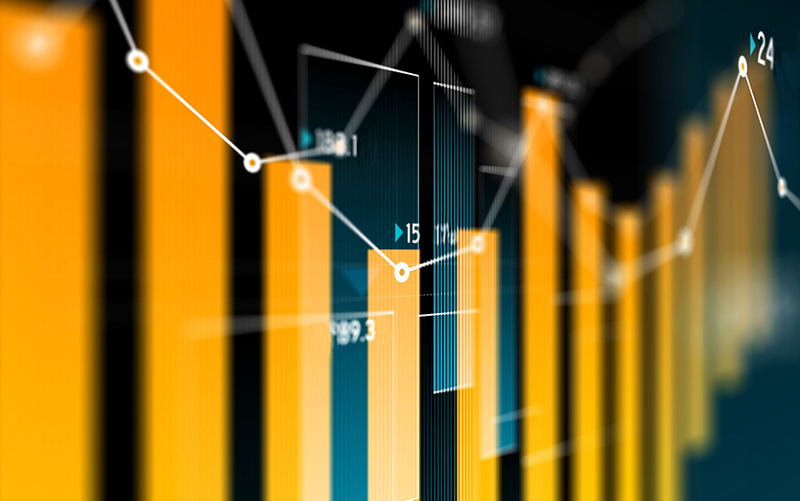 Our Data and Statistics function has crucial responsibilities for the intake and analysis of a wide array of regulatory reports and other data. The function also includes the New York Fed’s Data Capabilities Office, which is helping the Bank make more innovative use of all our data and helping us apply advanced analytic approaches such as natural language processing, data visualization, the systematic use of reference data, and “big data” techniques to work across the organization. So another crucial goal is to foster Data and Statistics’ efforts, as well as the work of the Group’s Shared Services function, which provides essential support to all our efforts to advance the New York Fed’s policy missions. Q: What has surprised you since assuming your current role? Perhaps the biggest surprise has been the depth and breadth of the work that we do. That might sound strange since I’ve worked in Research for a long time, but it was not until I became the Director that I really understood the full dimensions of all the work being done. Given my background, I was very familiar with the Group’s research on topics such as bank supervision, capital regulation, stress testing, and bank complexity, but there was other work going on that I simply didn’t understand as well as I should have. For instance, although I certainly knew about the extensive work our economists do to support the Fed’s monetary policy mission, since becoming Research Director, I’ve really come to appreciate the full range of modeling and analysis done to understand developments in the macro economy and the potential impact of monetary policy on labor markets, inflation and the broader economy. In addition, I was certainly aware of the Survey of Consumer Expectations and the Consumer Credit Panel, but I did not fully appreciate the richness of the data being collected and how they can inform our understanding of the household sector. Similarly, New York Fed economists do extensive analysis of our region and of economic activity in our district, with that work helping us to get a deeper understanding of important topics like wage inequality. I’ve also developed a much better understanding of Research’s work on labor markets, job transitions and trade. Q: December will mark the tenth anniversary of the start of the Great Recession. How has the legacy of the financial crisis shaped the work of the New York Fed’s Research Group? The financial crisis has had a large influence on the research and analysis we currently do. Prior to the crisis, we did not do as much work as we should have trying to understand the links between and among different types of financial institutions and markets. We now devote significantly more time and attention to work that enhances understanding of the risks to financial stability. A great example of this is a series of papers that our economists have done examining market liquidity, assessing factors like the impact of post-crisis regulations, changes in Treasury market liquidity and risks of firesale spillovers from the mutual fund sector. Another example is our work on stress testing—a critical supervisory innovation to come out of the Great Recession. More fundamentally, stress testing is an alternative conceptual framework for assessing risks to financial stability, with the key innovation being that the focus is not so much on the probability that a stress occurs but the possible outcomes given stressed economic and financial market conditions. The work here includes developing a “table top” stress-test model of the U.S. banking system to help assess trends in capital resiliency over time, an approach to stress testing household leverage, and analysis of the changing relationship between stress test results generated by the Fed and by the banks themselves. What’s particularly notable about this body of work is that it reflects the deep synergies between “pure” academic research and contributions to the New York Fed’s policy mission, as shaped by the legacy of the financial crisis. Much of this research builds on work that our economists are doing to support the Fed’s supervisory stress tests, while the economists’ contributions to the Fed’s stress test work are grounded in the analytical, modeling, and data expertise generated by their research. Q: How does the work of a researcher at the Fed differ from that of an economist in academia? The work of a researcher at the Fed is similar in some important ways to that of an economist in academia, especially regarding research. In both cases, the goal is to do research that breaks new ground in our understanding of some aspect of the economy—financial markets or institutions, or individual consumers, households, or businesses—and how policy can affect those outcomes. Just like in academia, the work can be theoretical or empirical—or a combination of the two; can involve traditional econometric analysis, simulation or survey results; can rely on data that is widely used in the profession or can be based on new sources of information not traditionally accessed by research economists. A really interesting example of the latter is work by one of our economists using satellite images of nighttime lights to sharpen economic growth estimates. What distinguishes research by New York Fed economists is that our work tends to be grounded in the real-world questions related to the Fed’s policy missions. Although we don’t direct research, in the sense of telling our economists what to analyze in their independent research, economists here often find important, natural synergies between their academic-style research and their policy work. They are able to bring the insights and techniques they’ve developed through their research to work on the Fed’s monetary policy, financial stability, supervision, and financial services missions. At the same time, working on these policy issues suggests new topics for research, areas where the current state of inquiry or knowledge could be enhanced, where the frontier of work could be pushed forward. All this work is supported by a dedicated group of full-time research analysts as well as by technology experts in our Group Shared Services area. In addition, New York Fed economists can get access to unique data sets to inform both their research and policy analysis. But it is the ability to make direct contributions to policy that affects our economy and financial system that really differentiates being an economist at the Fed from being an economist in academia. In my own time here, I’ve served on various working groups of the Basel Committee on Banking Supervision and thus directly contributed to the development of a range of regulatory capital rules that banks around the world now follow; worked with economists and supervisors from across the Federal Reserve in developing and implementing the Fed’s supervisory stress tests; and, during the financial crisis, worked on real-time assessments and policy solutions affecting banks and financial markets. My experience in having a tangible impact on real-world policy outcomes is not unusual for a New York Fed economist. Q: What’s on the horizon for the Research Group? We have some exciting work under way aimed at helping us better understand the current economic environment and how it could evolve. We are laying the groundwork needed to think about how well have the post-crisis regulatory and supervisory reforms worked in fostering financial stability, which reforms have had the greatest impact and was that impact intended? We also have a body of work looking at the causes and implications of the low interest rate environment, a crucial question for monetary policy and financial stability concerns. This work will have a variety of outlets, including research papers in our Staff Reports series, conferences and Liberty Street Economics blog posts. So stay tuned! Beverly Hirtle is an executive vice president and the director of research of the Federal Reserve Bank of New York. Beverly Hirtle, “Hey, Economist! Tell Us about Your First Year as Research Director of the New York Fed,” Federal Reserve Bank of New York Liberty Street Economics (blog), September 29, 2017, http://libertystreeteconomics.newyorkfed.org/2017/09/hey-economist-tell-us-about-your-first-year-as-research-director-of-the-new-york-fed.html. Posted by Blog Author at 07:00:00 AM in Federal Reserve, Hey, Economist!